Julie Plec previews the new characters we will be seeing on The CW's Legacies. Elena Gilbert. Stefan Salvatore. Damon Salvatore. Caroline Forbes. Klaus Mikaelson. Alaric Saltzman. Bonnie Bennett. Good old Matt Donovan. The world of The Vampire Diaries and The Originals was populated with so many icons in the last nine years, and in a little bit more than a month, fans will get to meet their Legacies in Mystic Falls as the Salvatore School for the Young and Gifted will be open for business. While fans going into the series will already know Hope (Danielle Rose Russell) and Alaric (Matt Davis), the rest of the cast will be made up of relatively new characters that we don’t know a whole lot about. After a Legacies discussion at this year’s Television Critics Association press tour, we asked Executive Producer and creator Julie Plec about some of the other characters we will be meeting when the series premieres October 25 on The CW. “I’m honestly so excited for the first opportunity to parade the rest of these guys out here in front of you,” Plec enthused. “They are delightful. Josie and Lizzie Saltzman, the twins. M.G., the young vampire. Landon Kirby, the young human who we met very briefly in Mystic Falls in episode 12 of The Originals this year. Rafael Waithe who is a new kid, new werewolf… they are incredible. They are so cool, and they’re such good kids… and their characters are so lovely, and damaged, and [messed] up, and fun, and soulful… it’s a world that I am having such a good time playing in,” she said. You can see photos of the Salvatore School students who make up the show’s cast below. 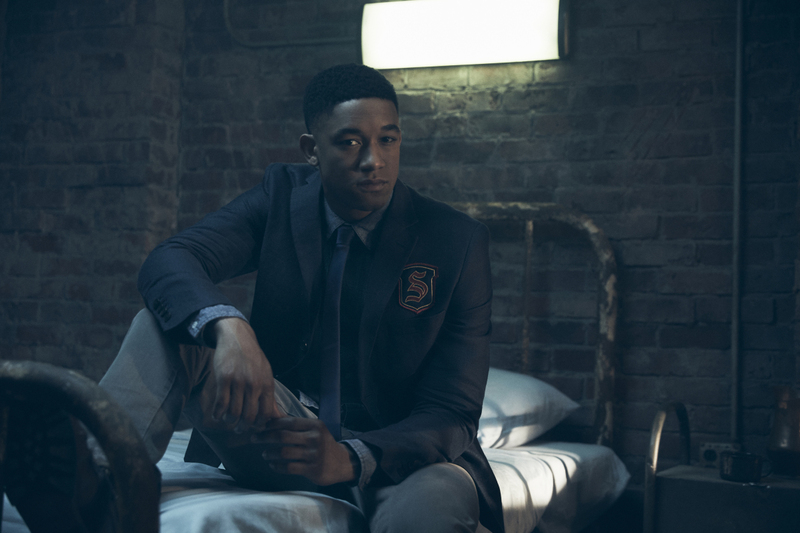 Legacies -- Image Number: LGC1_RAFAEL_0076r.jpg -- Pictured: Peyton Alex Smith as Rafael -- Photo: Miller Mobley/The CW -- ÃÂ© 2018 The CW Network, LLC. All Rights Reserved.